Ferragine Greenhouses – "Family Grown From The Roots Up"
We are proud to present our new website that is full of useful information regarding our business and the services we offer. Please enjoy browsing our new site and please contact us with any questions that may not have been answered while searching. Neither can we! 2019 has arrived and there is no time too early to start thinking about your gardens and containers, Have a specific combo or design in mind? Need large quantities of a specific variety? Don't hesitate to contact us with any questions! Please browse all the photo's in our gallery and on our social media platforms to get inspired. Take a look and run with it! Gardening doesn't have to be structured if that's your taste so mix and match. But if uniformity is your flavour, one colour or plant can make your day. Either way be sure to have fun! 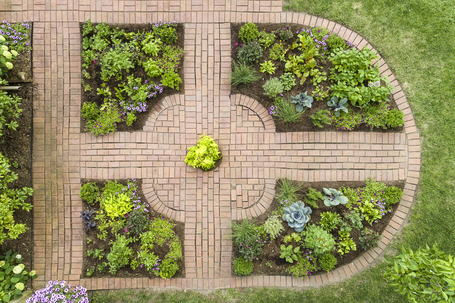 We want you to enjoy your gardens. This means that you strive to get the most flowers, fruits, vegetables and success possible with anything you put in to them! There is nothing more frustrating than spending your hard earned money and time only to have your efforts go to waste. No green thumb? No such thing! You just need the right advice and we’re here to help. 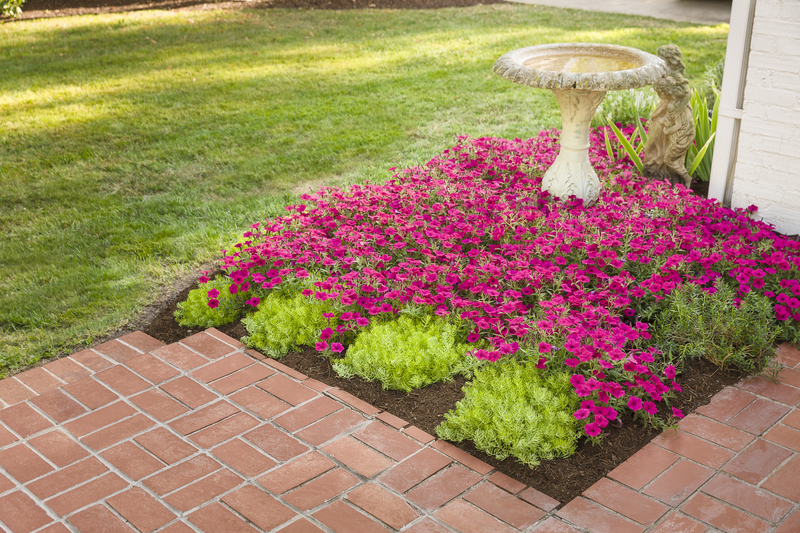 We can help answer any questions you have regarding your garden or lawn and try to help guide you in the right direction for success. 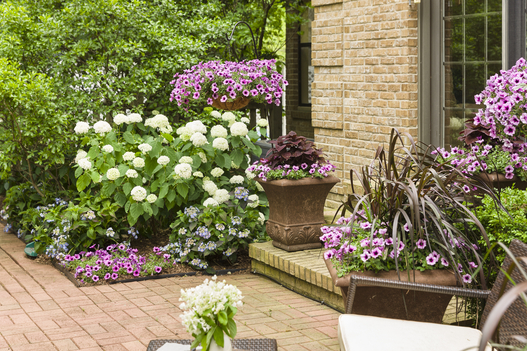 We can help you design your dream garden or containers! In store or on site, we’re here to help. 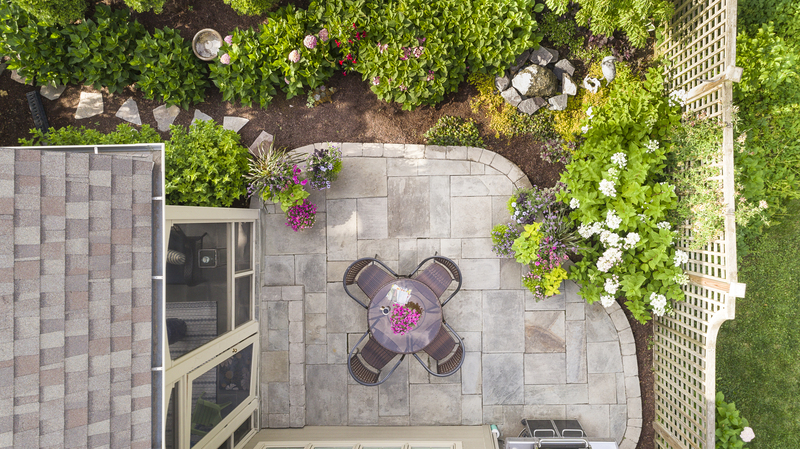 We can help you achieve success in your garden, no matter your style! Whether it’s trees and shrubs, perennial, flowering, vegetable or fruiting, we’ve got the advice you need. 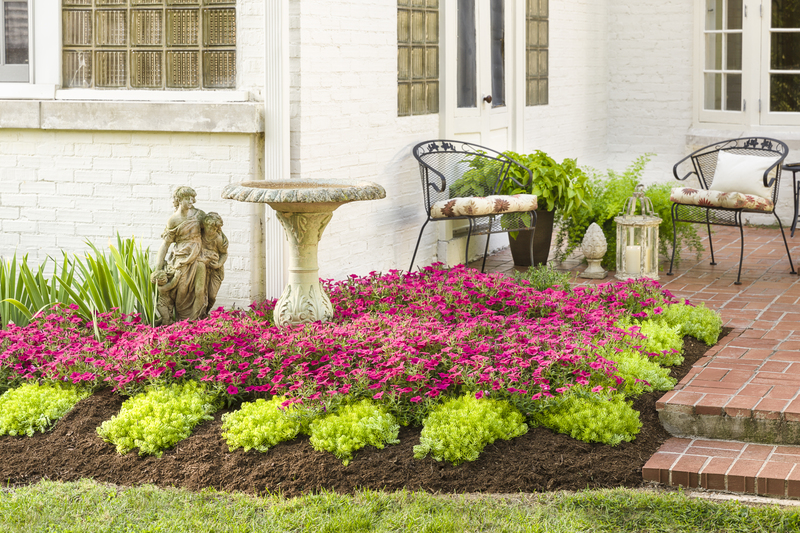 Is your lawn looking green and lush? Or is it looking tired and worn out? 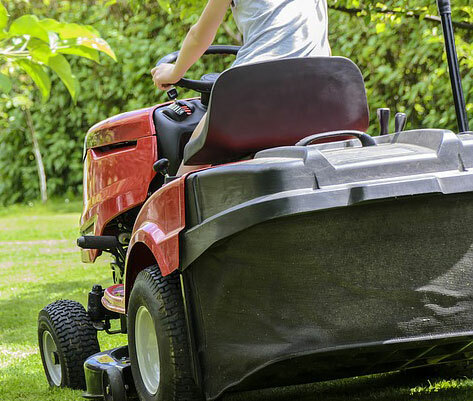 Check out this section for some great lawn care advice! 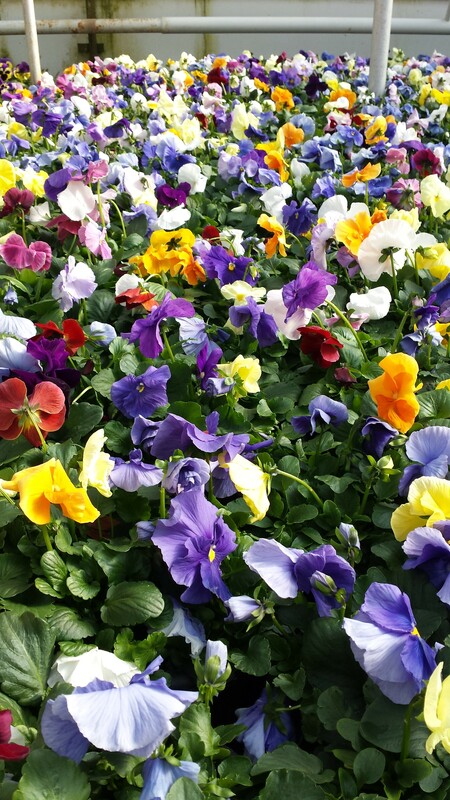 Before opening for retail, our family business has deep roots in wholesaling bedding plants and farming produce. This has led to years of experience and knowledge! 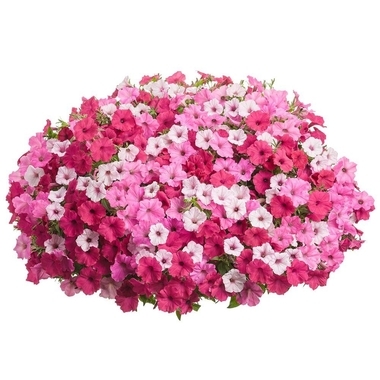 Our focus is on using premium plant material when it comes to our production. 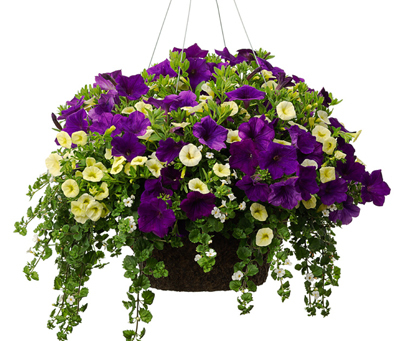 This is why we use Proven Winners annuals in all our hanging baskets, to provide our clientele with only the best. 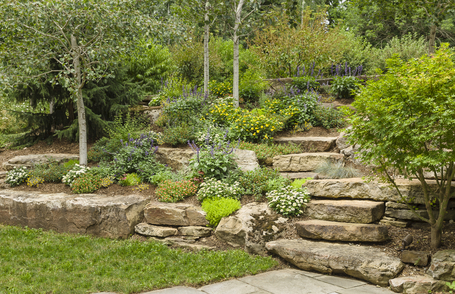 We provide landscape design as one of our many services to our clients. Whether it be advice in the garden centre, or a personalized visit to a residence complete with full landscape drawings, the choice is yours. The biggest part of our business and what we pride ourselves on, is our service. We strive to provide the best and friendliest service to all our customers that come to visit us. Do you carry bulk soils/mulches? Unfortunately we do not. All of our soils are in 30L bags that are organic certified from Pefferlaw Peat Products. Also, our mulches are fade resistant and packed in 3 cu. ft bags. What is your warranty for trees and shrubs? We offer a 1 year warranty from the date of purchase. So long as the tree or shrub in question was not on sale at the time, the warranty will be honoured when the customer brings in the original receipt and dead plant. 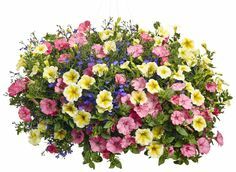 Due to our weather conditions over the winter, we do not warranty perennials, roses, or any trees and shrubs that are not zoned 5 or below. We are open to the public for retail from the beginning of April until the end of October. However, as we do grow a lot of our own products, we start in the greenhouses from January and can be reached any time of the year through email or our website. Everything that we grow ourselves at the greenhouse has been treated using an IPM program. Our Integrated Pest Management program includes the use of predatory insects, biological insecticides/fungicides and occasionally the use of conventional chemical based products. We try to keep our use of harmful chemicals at a bare minimum.